Kenneth's obituary was published in the "Moberly Monitor-Index" (Moberly, Missouri) on Sunday, November 4, 19734 (see scan below). Birth notice for Angela Gayle Hinshaw. Birth notice for Tracy Renee Hinshaw. Obituary of Kenneth Roy Hinshaw. 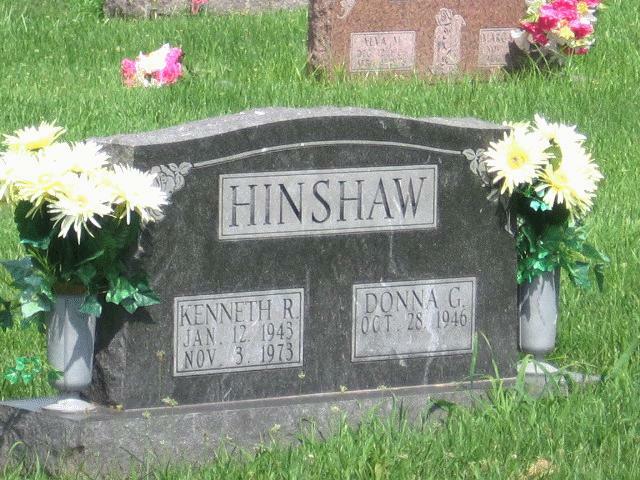 Obituary for Kenneth Ray Hinshaw; Moberly Monitor-Index (Moberly, Missouri), Nov 4 1973; http://www.ancestry.com. 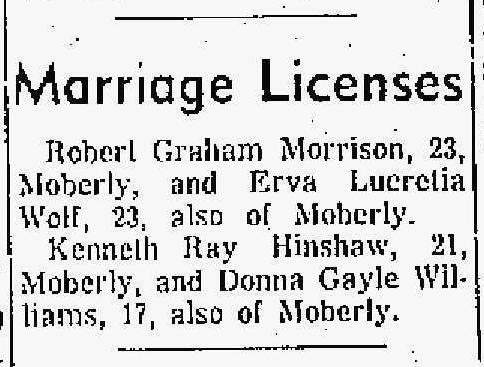 Moberly Monitor-Index (Moberly, Missouri), Jun 27 1964; http://www.ancestry.com.